Miniature fruits made from marzipan are a traditional Christmas treat, and they’re actually pretty simple to make yourself – this is great fun to do with the kids, and makes an excellent present for grandparents! 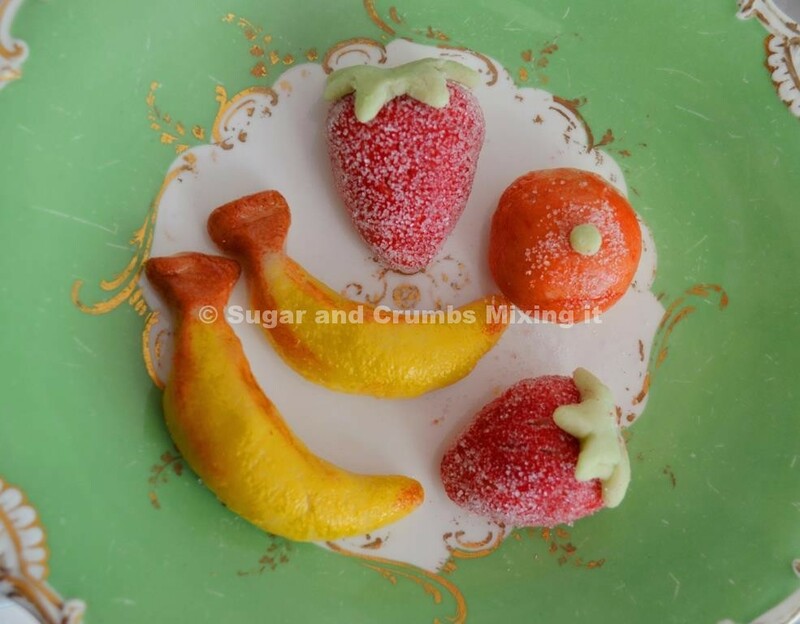 Use different flavours of Sugar and Crumbs icing sugar to flavour the fruits as appropriate – this recipe uses banana, strawberry and orange, but you can get as creative as you like. A note on equipment – you’ll need a couple of new, clean sponges or small paintbrushes to add the colour. First, make the marzipan. This recipe gives you three different flavours of marzipan to shape into three different fruits, but they’ll look identical to start with – so you may want to mark the bowls in order to keep track! Divide the ground almonds between three bowls, with 40g in each. Then, to each bowl, add 120g of Sugar and Crumbs Icing Sugar – banana in one, strawberry in another and banana in a third. Beat the egg white until frothy, and then add a small amount to each bowl, stirring until the ingredients come together in a thick, soft mixture – you may not need all of the egg white. Knead each quantity of marzipan briefly until smooth and supple. Use your fingers to shape into fruits as appropriate, and then ‘paint’ each one with food colouring. 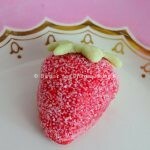 A few tips on decoration - for the strawberries, colour them red, allow them to dry a little, and then roll in granulated sugar before adding the leaves and painting those. 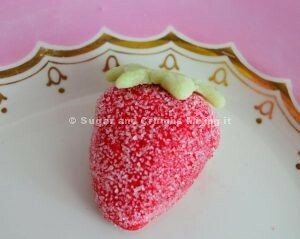 You may like to sprinkle the oranges with a little sugar too, to give them the right look & texture. To put the finishing touches on the bananas, make a little brown food colouring by mixing all the colours together, and use to create lines or spots. Store all the fruits in the fridge for up to two weeks, or freeze for up to three months.